1st Association of Surgical Assistants (ASA) and National Surgical Assistant Association (NSAA) Joint Meeting is organized by Association of Surgical Assistants (ASA), National Surgical Assistant Association (NSAA) and will be held from Apr 26 - 27, 2019 at Embassy Suites by Hilton Chicago O'Hare Rosemont, Rosemont, Illinois, United States of America. Additional details will be posted as soon as they are available. 2019 Clinical and Scientific Innovations for Oral and Maxillofacial Surgeons (CSIOMS) Conference is organized by American Association of Oral and Maxillofacial Surgeons (AAOMS) and will be held from Apr 26 - 28, 2019 at Hilton Rosemont/Chicago O'Hare, Rosemont, Illinois, United States of America. This Conference is a reinvention of the AAOMS Research Summit, enhanced to better showcase research relevant to patient care and the private practitioner. This new complimentary educational conference will bring together world-class researchers from a variety of disciplines to showcase the latest technologies and research affecting the full scope of oral and maxillofacial surgery. Additional details will be posted as soon as they are available. Beyond the Basics Coding Workshop is organized by American Association of Oral and Maxillofacial Surgeons (AAOMS) and will be held from May 04 - 05, 2019 at Loews Chicago O'Hare Hotel, Rosemont, Illinois, United States of America. 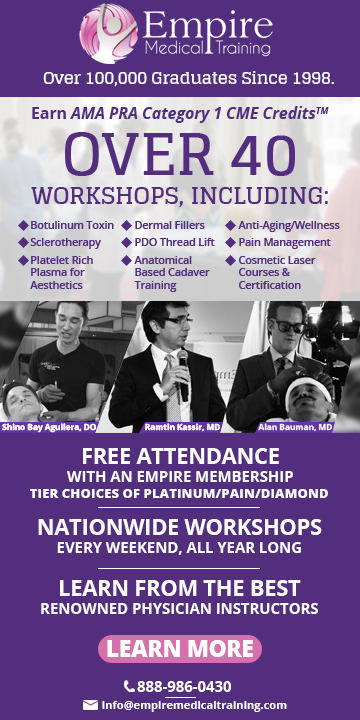 The target audience for this medical event is Designed for OMSs and coding professionals. The two-day AAOMS Beyond the Basics Coding Workshop concentrates on different topics each day. Both days are necessary to achieve the maximum benefits this course has to offer. AAOMS encourages oral and maxillofacial surgeons to attend with their coding and billing staff. In addition to OMS-specific procedural coding, workshop content covers healthcare reform initiatives stemming from the Affordable Care Act, state insurance laws and reimbursement issues as well as audit tips, medical records documentation, managed care contracts tips, fraud and abuse, and more. Note: Participants must have a basic understanding of CDT, CPT and ICD-10-CM. Basic coding knowledge or completion of the AAOMS Basic Coding online course and AAOMS ICD-10-CM online course is suggested before participating in this intermediate-level workshop. Attendees must bring their CPT, CDT and ICD-10-CM coding books. This is a hands-on workshop, and books are not sold on site. Learning Objectives: At the conclusion of this program, participants should be able to: • Explain key healthcare reimbursement issues, the Correct Coding Initiative (CCI), the Health Insurance Portability and Accountability Act (HIPAA), an overview of health reform, fraud and abuse. • Achieve compliance through appropriate documentation for services provided (e.g., use of E/M guidelines). • Follow guidelines for coding anesthesia, applying associated modifiers and other coding trends. • Analyze clinical case studies to code OMS-specific procedures such as fractures and biopsies. • Describe the relationship of coding to third-party reimbursement. • Understand managed care contracting and how to conduct/respond to a health plan audit. • Gain an understanding of state insurance laws, such as prompt payment and degree of provider. • Understand insurance exchange products, embedded dental plans and quality improvement programs. Additional details will be posted as soon as they are available. 4th Annual Advancements in Cancer Management is organized by Academy for Continued Healthcare Learning (ACHL) and will be held on May 04, 2019 at Gene & Georgetti - Rosemont, Rosemont, Illinois, United States of America. The target audience for this medical event is designed to meet the educational needs of primary care providers and specialists involved in the care of patients with cancer. Accreditation: The Academy for Continued Healthcare Learning designates this live activity for a maximum of 4.25 AMA PRA Category 1 Credits™. Physicians should claim only the credit commensurate with the extent of their participation in the activity. The Osteopathic Founders Foundation is accredited by the American Osteopathic Association to provide osteopathic continuing medical education for physicians. The Osteopathic Founders Foundation designates this program for a maximum of 4.25 AOA Category 1-A credits. OFF will report CME and specialty credits commensurate with the extent of the osteopathic physician’s participation in this activity. Description: Advancements in Cancer Management is an educational forum designed to foster dialogue between primary care providers (PCPs) and the oncology team and to provide strategies that contribute to integrative cancer care for patients. Panel discussions, case studies, and question-and-answer sessions will take place to enhance clinician knowledge and competence. Topics such as screening high-risk patients, cancer pain management, immunotherapy treatment and adverse event management, monitoring for the long-term effects of treatment and/or disease, combining integrative therapies with cancer treatment, and drug-drug interactions will be covered for PCPs to expand their knowledge and transform their practices in cancer care. Objectives: • Explain the use of multimodal analgesia to manage pain and reduce the use of opioids. • Describe how integrative therapies and lifestyle change programs are employed as adjunct therapies in the care of cancer patients. • Evaluate immuno-oncology approaches in cancer treatment, including patient selection. • Describe the appropriate follow-up protocols for identification of pulmonary nodules. • Recognize the pathophysiology and clinical presentations of various subtypes of pleural effusions. • Describe the various treatment options for each of the various pleural effusions. Advanced Protocols for Medical Emergencies in the Oral and Maxillofacial Surgery Office (APME) is organized by American Association of Oral and Maxillofacial Surgeons (AAOMS) and will be held from May 04 - 05, 2019 at Loews Chicago O'Hare Hotel, Rosemont, Illinois, United States of America. The target audience for this medical event is Dental Anesthesia Assistants. The APME course curriculum covers emergencies in the office setting that OMS assistants may encounter and helps prepare them to provide assistance. While the APME material is designed for assistants who have previously taken the Anesthesia Assistants Review Course (AARC), having done so is not a prerequisite to attend this course. Topics covered include cardiovascular distress, respiratory distress and allergic reactions. Each topic contains examples presented in detail. This course provides excellent instruction that will ensure the OMS team is well-prepared to manage office emergencies. Learning Objectives: At the conclusion of this program, participants should be able to: • Recognize potential and real emergencies. • Evaluate the underlying cause(s) of emergency situations. • Plan appropriate responses to specific emergencies. • Function as an integral part of the oral and maxillofacial surgery team to manage office emergencies. AAOMS Practice Management Stand-Alone Meeting is organized by American Association of Oral and Maxillofacial Surgeons (AAOMS) and will be held on May 04, 2019 at Loews Chicago O'Hare Hotel, Rosemont, Illinois, United States of America. The target audience for this medical event is Designed for all OMSs, practice manager, implant coordinators and front-office staff. Session One Synopsis: Systems, Teams and Technology: Creating Balance-driven Success in your Practice Most OMSs juggle every day between managing the business, the clinical area, their team and home life. Although it may feel as if there are 25 balls in the air, this session will walk through how to prioritize and organize a practice. Attendees will learn how to identify three main areas of a practice to help achieve the ultimate goal of a balanced day. This session will start with clean well-defined systems, making sure there are standard operating procedures to follow. It will move next to the team, the heart of a practice, and understanding techniques to achieve a happy, high-performing team. Then technology-it is only good when it is utilized in an efficient way. It’s time to define and refine this balancing act. Session Two Synopsis: The Numbers Start the Story, but They Don’t Tell the Whole Story Key Performance Indicators (KPIs) are the numbers used to measure business success. These key numbers tell how one is performing and how successful a team is. This session will examine these numbers, learn how to find them and how to interpret them. Having the ability to pull and examine these numbers are just the start of the story. One can easily identify the good and the bad numbers, but what is next? Understanding the rest of the story is key to success. This session will focus on getting the numbers, interpreting the numbers and ultimately effecting change based on the story they tell. Session Three Synopsis: Dynamic Branding and Marketing: Bringing Your Story to Life Writing the story of a life is exactly what social marketing is. This session will discuss the three key components to a your story to life: Branding, Marketing and “Webutation” Branding is who one is. It is the promises one makes to oneself and to consumers. Marketing is discovering the target audience and implementing how to get the word out. And finally, life is always changing and so could “Webutation;” that is why monitoring it is essential. Additional details will be posted as soon as they are available. Alliance for Clinical Trials in Oncology Spring Group Meeting is organized by Alliance for Clinical Trials in Oncology and will be held during May 09 - 11, 2019 at Loews Chicago O'Hare Hotel, Rosemont, Illinois, United States of America. Additional details will be posted as soon as they are available. Trauma Basic Principles is organized by AO North America and will be held from May 30 - Jun 02, 2019 at Hyatt Regency O'Hare, Rosemont, Illinois, United States of America. Course Summary: This Basic Course is designed to provide the participant with a fundamental knowledge of operative treatment of fractures according to the AO principles. The four guiding AO principles of fracture fixation are: • Anatomic reduction of the fracture fragments, particularly in joint fractures • Stable fixation to ensure proper healing of the fracture allowing surrounding tissue to move and strengthen • Atraumatic surgical technique to preserve the blood supply to the bone fragments and soft tissue • Early, pain-free mobilization returning the patient to function as soon as possible. The course will cover the concepts of absolute and relative stability, as applied in context, of the soft tissue injury for each limb segment’s major fracture types. This course is the foundation for the AONA curriculum, which teaches the surgeon how to manage trauma and trauma reconstruction. The goal of this course is not to advocate the treatment of all fractures by surgical fixation, but rather to help ensure that when surgery is carried out, that it is done properly based upon principles, appropriate preoperative planning, and decision making. Learning Objectives: Upon completion, participants should be able to: • Discuss the concepts of stability, their influence on bone healing, and how to apply implants to achieve appropriate stability • Plan a treatment based on assessment, imaging, classification, and decision making • Apply reduction techniques in fracture management with attention to the importance of the soft-tissue • Apply related psychomotor skills to the practical application of orthopedic implants to fractured bones • Plan the initial treatment of the polytraumatized patient Additional details will be posted as soon as they are available. Advanced Arthroscopy Association of North America (AANA) / American Shoulder and Elbow Surgeons (ASES) Course on Shoulder Surgery is organized by Arthroscopy Association of North America (AANA) and will be held from Jun 09 - 11, 2019 at OLC Education & Conference Center, Rosemont, Illinois, United States of America. Target Audience: The primary target audience for Advanced AANA / ASES Course on Shoulder Surgery is AANA members and other healthcare professionals who desire to improve their arthroscopic knowledge, competence, performance, and patient outcomes. 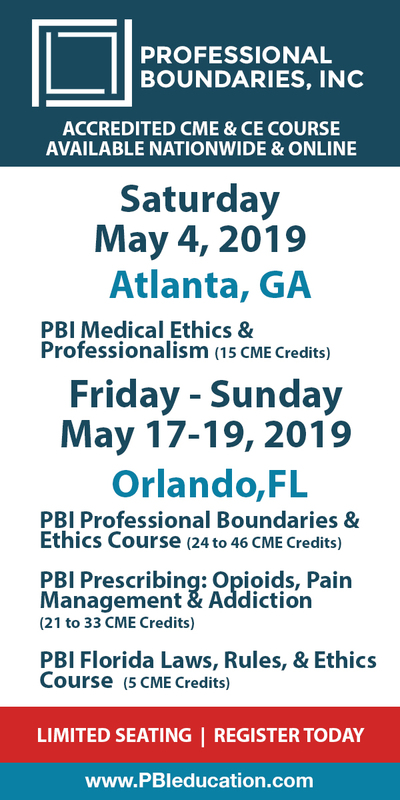 Course Description : The Course format will include lectures, discussion time, interactive case-based presentations, and hands-on lab session with cadaveric specimens, implants and instrumentation. The dedicated two-to-one lab experience will improve your techniques and surgical skills in shoulder surgery. This two-day course dedicated exclusively to the learning of advanced surgical techniques in arthroscopy and shoulder arthroplasty. This course is aimed at Spanish-speaking orthopedic surgeons and will be taught entirely in Spanish. The format of the Course includes didactic presentations, discussion time, interactive presentations of clinical cases, as well as practical sessions of corpse laboratory using implants and surgical instruments. The exclusive laboratory experience of two to one will improve your techniques and surgical skills in shoulder surgery. Additional details will be posted as soon as they are available. Arthroscopic/Open Strategies - Hip Preservation (APEx) is organized by Arthroscopy Association of North America (AANA) and will be held from Jun 21 - 23, 2019 at OLC Education & Conference Center, Rosemont, Illinois, United States of America. Target Audience : The primary target audience for Arthroscopic/Open Strategies is AANA members and other healthcare professionals who desire to improve their arthroscopic knowledge, competence, performance, and patient outcomes. Course Description : AANA/ISHA thought leaders will host didactic and hands-on laboratory learning for expert arthroscopic surgeons working as part of a modern hip preservation team. Sunday didactic symposium with open hip prerervation leaders will cover innovative techniques in open hip preserving surgery along with essential billing and coding information from Karen Zupko and Associates. Additional details will be posted as soon as they are available.